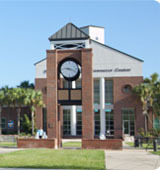 About 1000 undergraduate students attend Warner Southern College, a liberal arts school affiliated with the Church of God located about 50 miles south of Orlando in Lake Wales, Florida. WSC is a religious school with numerous restrictions including a prohibition against cigarette smoking and hair and dress regulations. Chapel service attendance is required. What are the top 3 reasons someone should attend Warner University? What is a typical Warner University student like? Describe the type of person that should attend Warner University. Welcome to the Warner University web site! Here, you have an opportunity to learn about our institution - our history and character as well as our people and programs. I think you will like what you see. The mission of Warner University to graduate individuals who exemplify academic excellence and Christian character, who are prepared to lead and committed to serve. Warner University's graduates have benefited from the encouragement and guidance of highly-qualified professors and now serve as successful businessmen and women in their communities, many in the professional fields of education, ministry, medicine, law, public administration and social services. This is an exciting time to be at Warner University. We are growing: building new facilities, enhancing our technology, and continuing to provide an exceptional faith-based education. If you are a prospective student, begin learning about Warner University by visiting our Admissions page. I hope you will give us a serious look, contact our Admissions Office, and visit our campus. Then if you decide that WU is the college you have been looking for, complete the online application process. What are the top 3 things that students do for fun at Warner University? Go to the movies, participate in sports, fellowship with other students at Warner. Warner is a small university and is growing to the new addition of Agriculture and the addition of Warner Football. Campus housing is available for undergraduates. Housing deposit : $50.00. Housing deposit due : Aug 15. Housing deposit is not refunded if student does not enroll.. Freshman allowed to have car. No pets. The average student pays $16,109 for tuition, fees, and other expenses, after grants and scholarships. Total stated tuition is $17,880, in-state and on-campus, before financial aid. Learn more about financial aid at http://www.warner.edu/index/financialservices/financialservices.asp. Estimate the net price for you at http://www.warner.edu/index/financialservices/scholarshipcalculator.asp. Warner University participates in the NAIA Division II for college athletics. Want more info about Warner University? Get free advice from education experts and Noodle community members.